Noel is a vintage postcard style Santa with a nostalgic joy to him. 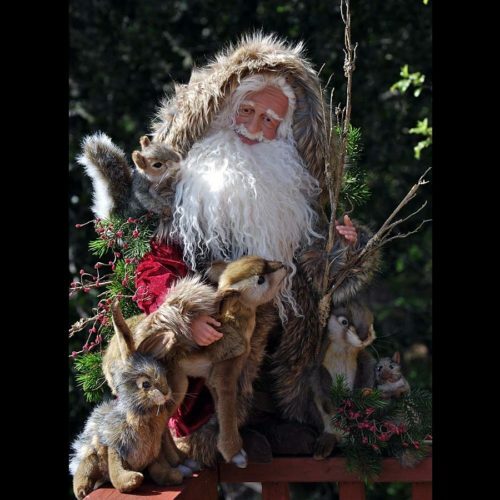 He is a 26 inch tall Santa, dressed in red velvet with beautiful brown faux fur trim and brown suede boots and cummerbund. 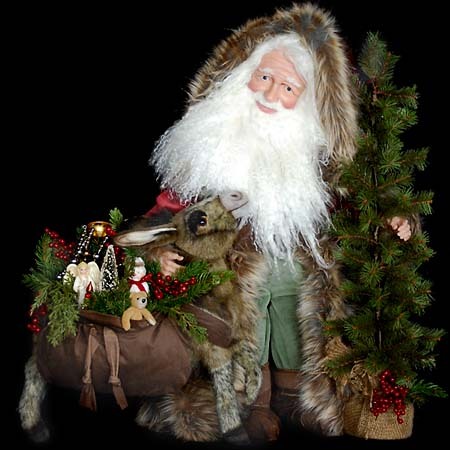 He is accompanied by a traditional donkey carrying suede packs of decorations and toys. He is 26 inches tall and picture perfect. He has a Tibetan wool beard, and a hand sculpted face making him a one of a kind treasure. 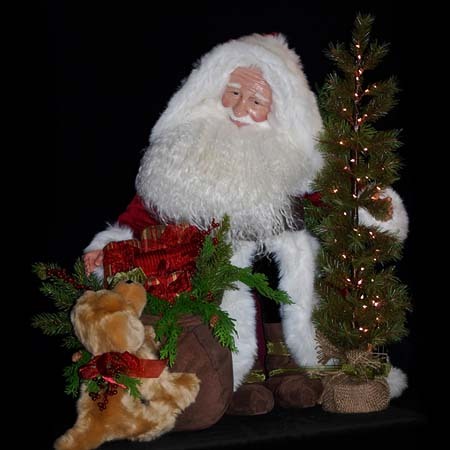 Lastly, he has a battery operated lit tree creating a Christmas glow where ever he is placed. 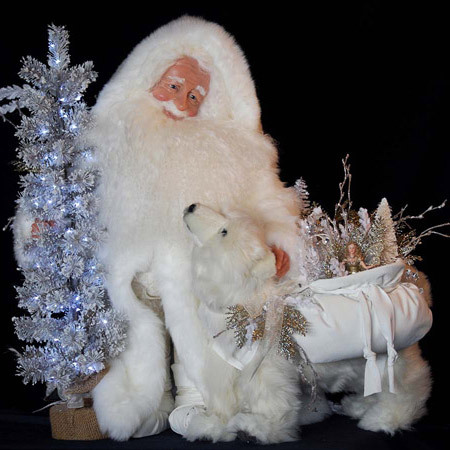 This traditional Santa will bring joy to anyone who loves Santa’s and Christmas.